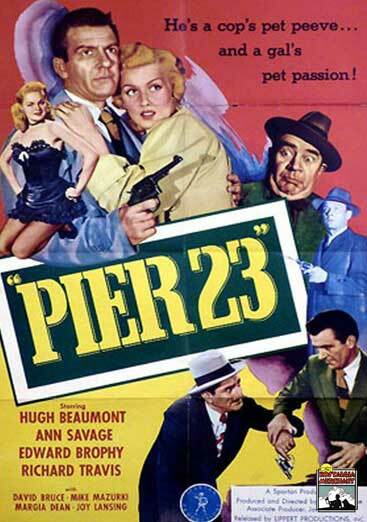 Pier 23 – Private detective finds himself framed for the murders of a wrestler and a crooked referee, then for the murder of a mystery man posing as a new parolee from Alcatraz. Starring Hugh Beaumont, (before his Leave it to Beaver days), Ann Savage, Edward Brophy, Richard Travis. 1951 – BW – 58 Minutes. Digitally reamastered.